I added very dramatic shading to the inside of the frame -- LOVE THAT EFFECT! I also added a colored tangled background. I love the contrast between the colorful background and the black and white shading of the morph itself. Morphs are the topic of my two newest lessons -- Part 1 is covers morphing organic fillers and grids, while Part 2 will explore morphing tangles of different types. Learn a fascinating technique on how to slowly and gradually transform one tangle another. Part 1 covers organic fillers and grid patterns. An advanced 50-minute lesson. These are two tiles I made at Tangle U. 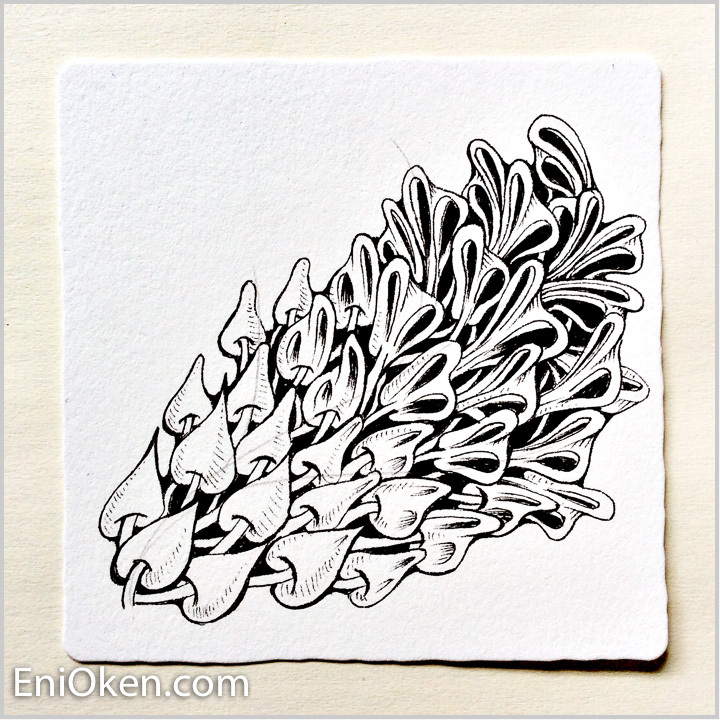 My second tile for the Art and Tangle challenge. A fun new challenge based on Art Enhancers. Part 2 of the Morphing lesson, learn how to create smooth morphs between ribbons, vines and blossom tangles.